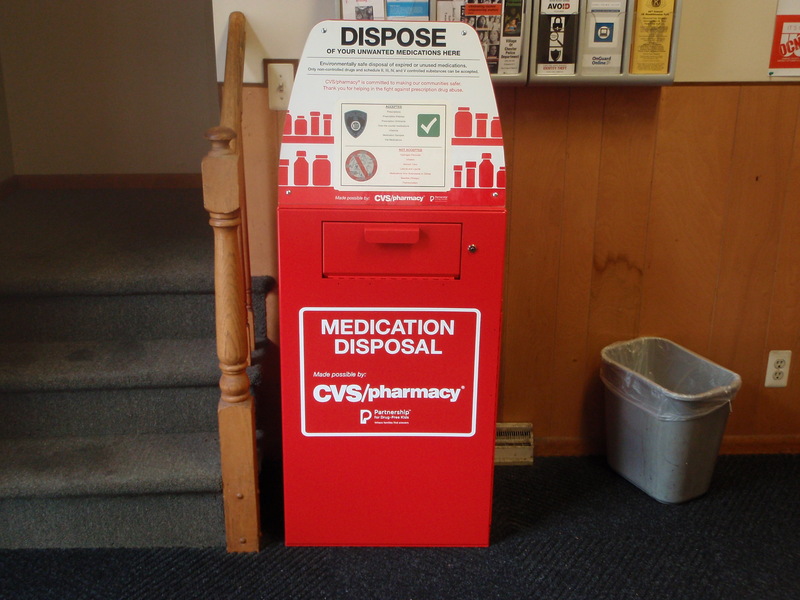 The Village of Chester Police Department in cooperation with CVS Pharmacy, The Partnership for Drug Free Kids, and the National Guard Counterdrug Task Force is now participating in the Prescription Medication Drop Box Program to give the public a safe and secure way to dispose of unwanted medications. Residents can drop off unwanted/expired prescription medication in the lobby of the Village of Chester Police Station located at 45 Main Street. Please no needles, thermometers, ointments, aerosols or liquids. Hours are Mon-Wed 9am-4:30pm, Thu 9am-8pm and Fri 9am-12noon. If you can’t make it during those times, just pick up the phone outside and an on duty officer can meet you at the station and assist you. Sometimes, when loved ones pass away or medication is no longer needed, people aren’t sure how to properly dispose of them. Now we have a solution. It is extremely important to keep these drugs out of the environment from throwing out unwanted medications in the trash or flushing them down the toilet. Children have been known to access medications not intended for them either by accident, or for illegal sale that sometimes result in tragic consequences. Everyone must make sure that prescription medications cannot be accessed by anyone they were not intended for either for their own use or to sell illegally. Persons wanting to drop off medication may do so anonymously. If you have any questions, please call the Village of Chester Police Department at 845.469.4111. The Village of Chester, New York is located in Orange County approximately 60 miles north of New York City. Our Village is a unique blend of Residential, Business, and Industrial.